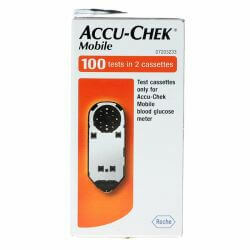 Glucobay (Acarbose) 500mg 90 Tablets is used to treat non-insulin dependent diabetes (Type-2). It cotains the the active ingredient acarbose. It helps to control blood sugar levels, by slowing down the digestion of carbohydrates (complex sugars) which reduces the abnormally high blood sugar levels in your body after each meal. 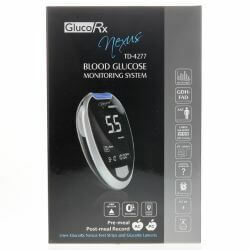 Glucobay (Acarbose) 50mg 90 Tablets can be used to treat diabetes when a restricted diet alone or a restricted diet plus other sugar-lowering drugs do not work well enough. Keep this medication out of sight and reach of children. Do not store above 25 degrees celcius and keep in a dry place. Always take the medicine exactly how the doctor or pharmacist has told you. Please read the patient information leaflet before taking this medication. The usual dose of Glucobay (Acarbose) 50mg 90 Tablets is 1 or 2 tablets three times a day. To start treatment the doctor may recommend taking the tablets only once or twice a day then they may increase the dose to three times a day. The maximum dose is 200 mg three times a day. The treatment is for long-term use and the tablets should be taken for as long as the doctor tells you to. 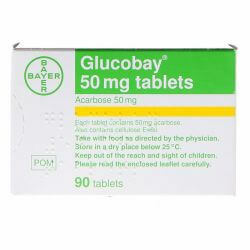 Glucobay (Acarbose) 50mg 90 Tablets should be taken with your meal. Yoy should chew the tablets with your first mouthful of food. If you prefer not to chew, swallow the tablets whole with a little liquid immediately before your meal. The active ingredient in Glucobay (Acarbose) 50mg 90 Tablets is Acarbose. The other ingredients are starch, cellulose, magnesium stearate and silicon dioxide. Please read the patient information leaflet provided before using the product. If you experience any of the side effects in the patient information or not listed in the leaflet consult your doctor immediately. Glucobay (Acarbose) 50mg 90 Tablets should not be taken if your are allergic to any of the ingredients. If you are pregnant or breast-feeding seek advice from your doctor before taking. If you have inflammation or ulceration of the bowel, for example ulcerative colitis or Crohn's disease. If you have an obstruction in your intestines, or are likely to get this. If you have a severe liver disorder. If you have an intestine disease where you do not digest or absorb food properly. If you have a large hernia, or any other condition where increased gas in your intestine may make it worse. If you have a kidney disorder tell your doctor before you take Glucobay. If you are taking, recently taken or might take other medicines. Medicines called intestinal absorbants, such as charcoal. Medicines containing digestive enzymes that help digestion, such as amylase and lipase. Colestyramine, to treat high cholesterol. Digoxin, to treat heart problems.